UF PRO® has introduced a new addition to their Monsoon waterproof range – the new Monsoon Rain Shirt® . The lightweight, low bulk Monsoon Rain Shirt® from UF PRO® is specifically designed to be worn underneath a plate carrier, chest rig or other load-bearing gear. 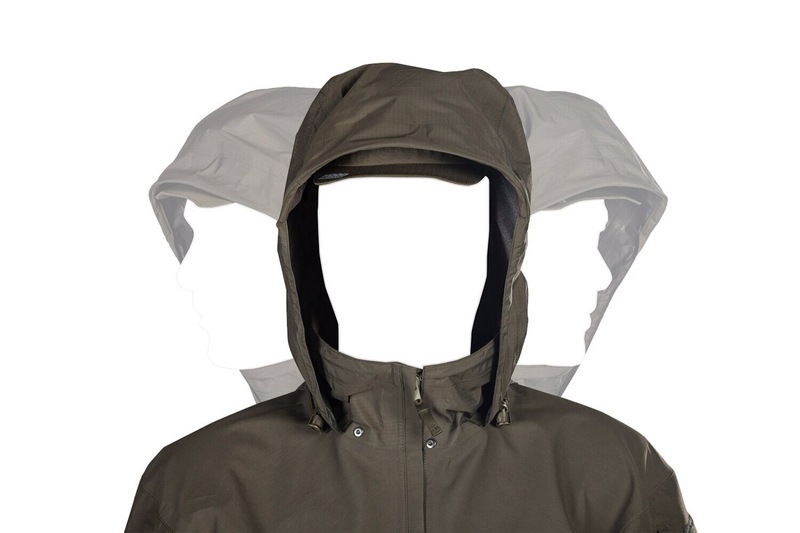 It’s made out of a special laminate mix, which makes the jacket thin, breathable and lightweight where it is covered with gear and very robust and extra durable wherever it is not. Exposed areas, like shoulders, lower back and sleeves are made out of a robust and durable 3-layer laminate. 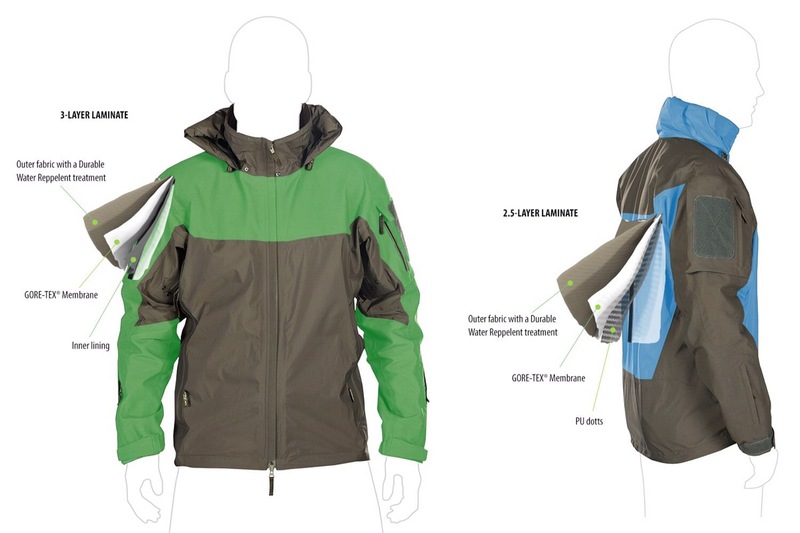 The rest of the jacket is made out of an extremely lightweight and low bulk 2.5-layer laminate. Both laminates are based on a super breathable and reliably waterproof high-tech membrane. For better wear comfort and reduced risk of secondary fragments, there are no pockets or zipper pulls in the torso area. 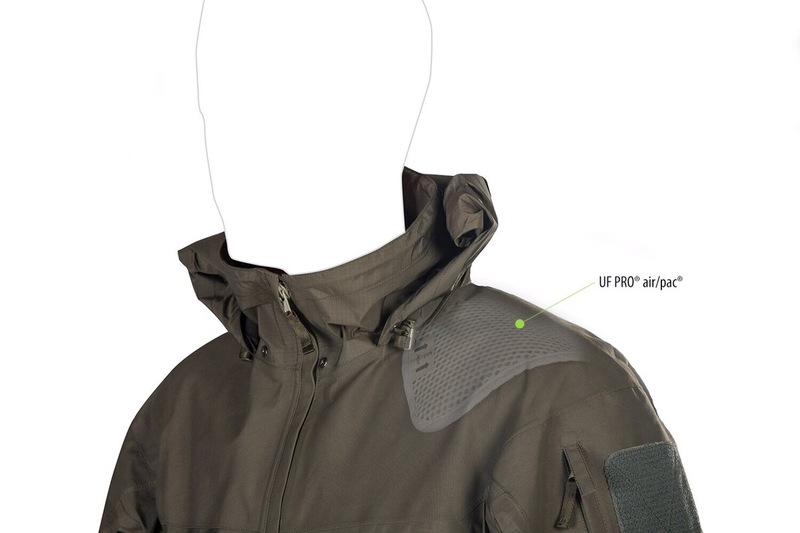 In order to avoid the formation of so called “thermal bridges“ between your skin and the outside air, the Monsoon Rain Shirt has built-in air/pac inserts in the shoulder area. These 8mm thick mesh inserts give you the necessary insulation between your skin and the outside temperature and thus prevent cold air to transfer from the outside to your skin. Due to their 3D foam structure, the air/pac inserts also distribute the weight of plate carriers or rucksacks. For unhindered vision and uncompromised hearing, the jacket has a special integrated hood system called the Hood/Harness. The harness comfortably connects your head to the hood and follows your head movements, allowing you unhindered vision in extreme weather conditions. And since there is no strapping needed, the space between your head and the laminate is kept clear for air circulation and doesn’t limit your hearing. 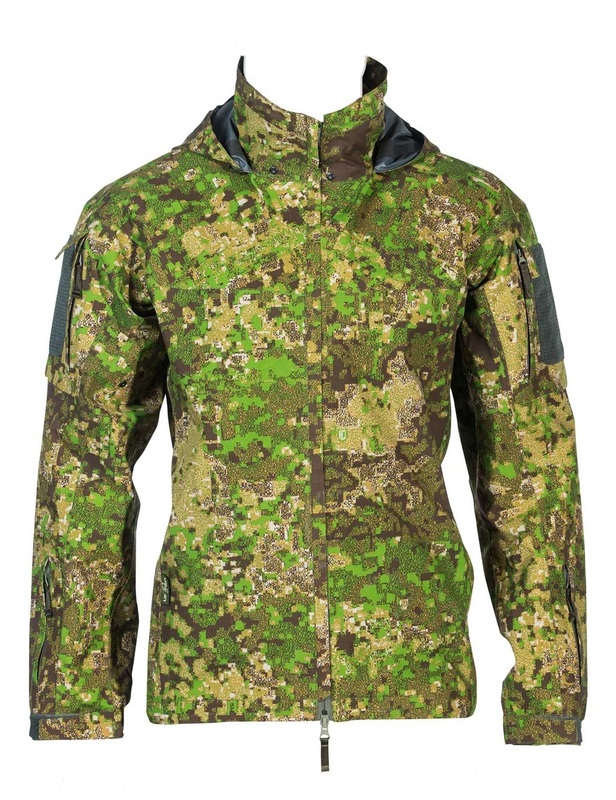 The Monsoon Rain Shirt® is currently available in PenCott-GreenZone® camouflage and in Brown-Grey. The Monsoon Rain Shirt® is entirely made in Europe from premium, US and European military-grade, field-proven fabrics combined with UF PRO’s unique advanced lamination technology and design aesthetic.